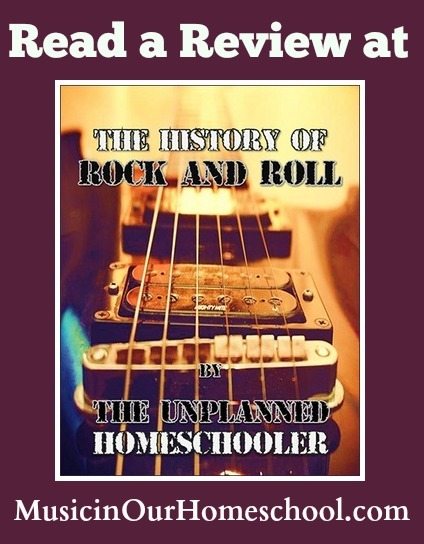 Today’s review is of a fun curriculum called The History of Rock and Roll by Tavia Fuller Armstrong of The Unplanned Homeschooler. There are 2 pages of introduction which explain how to do each lesson, how long it takes, and what’s included. Everything is included. Simply read the paragraph aloud and then watch the video link (to YouTube) that’s provided. There are photos scattered throughout of the performers. She gives suggestions for doing the curriculum along side American history studies of the 20th Century. 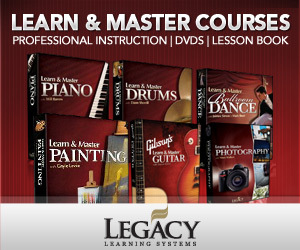 Lesson 1 “The Birth of Rock and Roll” contains 9 videos. Lesson 2 “The Evolution of Rock and Roll” contains 16 videos. Lesson 3 “Women of Rock and Roll” contains 15 videos. Each of the 3 lessons takes one to 1 ½ hours long to complete (with the videos), and it’s easy to break it up into smaller chunks of time. Listen to a wide variety of performers from Perry Como to Fats Domino to Bill Haley and His Comets to Elvis Presley to Carlos Santana to Fleetwood Mac to Gloria Gaynor. I learned a lot by going through this curriculum myself! I’ve included a section on rock and roll in my own curriculum 21 Lessons in 20th Century American Music Appreciation, but The History of Rock and Roll goes much more in depth. Some of the videos just show a photo with the audio playing, some are recorded from concerts, some are music videos, and some are explanatory about a subject. I love how she also includes information about inventions that affected rock and roll, like the the electric guitar and 45 rpm records. Use it during your Circle Time with all your kids together during the homeschool day. Use it as a break from your regular homeschool work when everyone is getting tired and burnt out. Bring it out to study on a Rainy Day. Use it in the car during a vacation or when you’re having to do a lot of schooling in the car. Have your high schooler do it on his or her own as part of their history or music appreciation studies. I would recommend this curriculum for any homeschool family or co-op who is looking for a way to learn more about the music of the 20th Century and to see how it reflects the history of the American culture. It’s short enough to be done quickly but flexible enough to just do a little bit at a time and spread it out for a longer period of time. 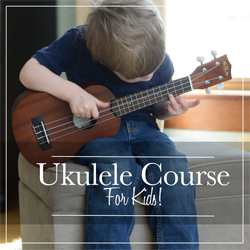 It will probably be fun for the kids– and the teacher as well since you’ll be hearing some music of your past!